Safety is always a priority when working with electricity in industrial sites. Use the meter only as specified in this manual. Otherwise the protection provided by the meter can be compromised. Examine the case before you use the meter. Look for cracks or missing plastic. Carefully look at the insulation around the connectors. Never measure current while the test probes are inserted into the input jacks. Make sure the battery door is closed and latched before operating the meter. Remove the test probes from the meter before the battery door is opened. Examine the test probes for damaged insulation or exposed metal. Check test probe continuity. 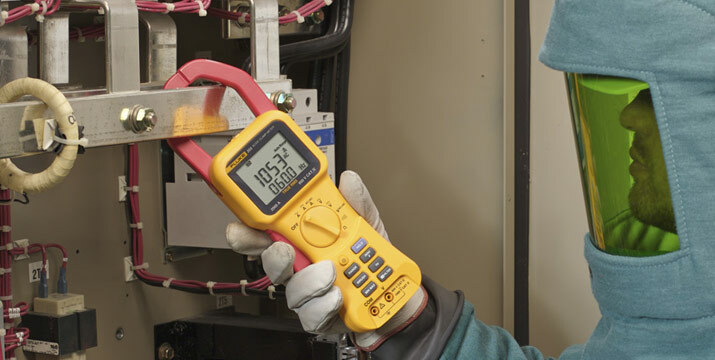 Replace damaged test probes before using the meter. Do not use the meter if it operates incorrectly. Protection can be compromised. When in doubt, have the meter serviced. Do not use the meter around explosive gas, vapor or in damp or wet environments. Use only the specified battery type, properly installed in the meter case, to power the meter. When measuring current with the meter's Jaw, keep fingers behind the tactile barrier. To avoid false readings that can lead to electrical shock and injury, replace the batteries as soon as the low-battery indicator appears. When servicing the meter, use only specified replacement parts. Have the meter serviced only by qualified service personnel. Be careful around voltages > 30 V ac rms, 42 V ac peak, or 60 V dc. Such voltages pose a shock hazard. Do not apply more than the rated voltage, as marked on the meter, between the terminals or between any terminal and earth ground. When using the probes, keep fingers behind the finger guards on the probes. Connect the common test probe before connecting the live test probe. When disconnecting test probes, disconnect the live test probe first. Do not work alone so assistance can be rendered in an emergency. Use extreme caution when working around bare conductors or bus bars. Contact with the conductor could result in electric shock. Adhere to local and national safety codes. Individual protective equipment must be used to prevent shock and arc blast injury where hazardous live conductors are exposed. Disconnect circuit power and discharge all high-voltage capacitors before you measure resistance, continuity, or capacitance. Know your meter. 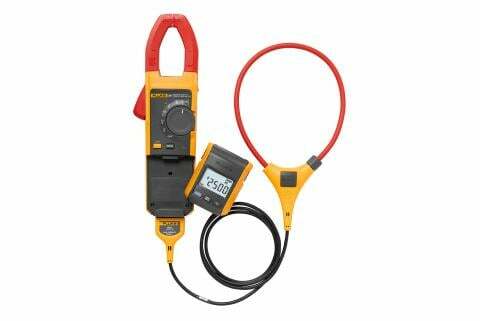 For example, for the Fluke 374 and 375, do not measure ac/dc current in circuits carrying more than 1000 V or 600 A with the meter jaw. 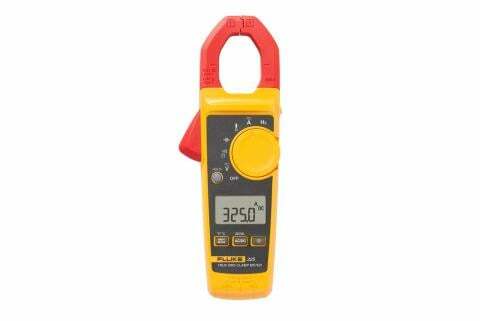 For the Fluke 376, do not measure ac/dc current in circuits carrying more than 1000 V or 1000 A with the meter's jaw. Never operate the meter with the back cover removed or the case open. Check your manual for specific restrictions. For some models, do not measure ac current in circuits carrying more than 1000 V or 2500 A with a flexible current probe. Do not apply a flexible current probe around or remove from HAZARDOUS LIVE conductors. Do not use the flexible current sensor if the inner contrasting insulation color is showing. When using a flexible current probe, take special care while fitting and removing the probe. De-energize the installation under test or wear suitable protective clothing.